The GE PowerVent is a gas-powered water heater. 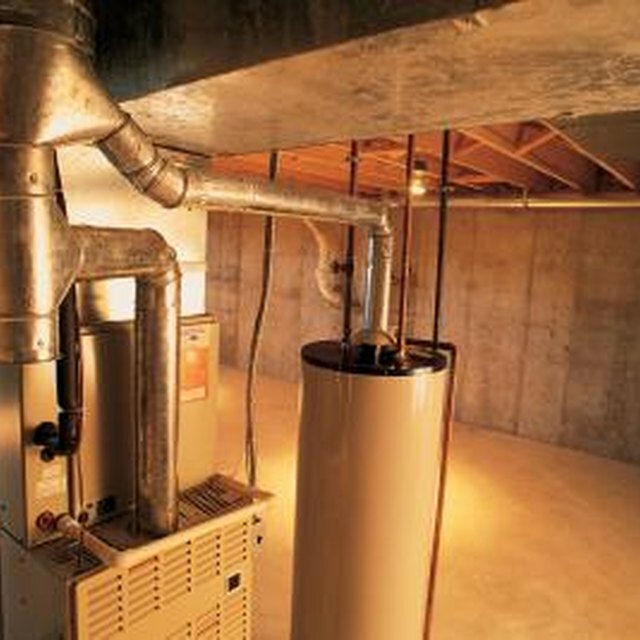 Power outages and mechanical failure can cause your GE PowerVent Water Heater to malfunction. Resetting the unit will recalibrate the system and often fix any issues. When the GE PowerVent Water Heater is reset, the internal mechanisms allow it to read the current tank temperatures accurately. Once it assesses the temperature, the unit can then heat the water to the preset temperature. Go to the home's electrical breaker panel, and turn off all power to the GE PowerVent. Turn the thermostat dial to the lowest temperature setting. Press the manual valve down, and it will automatically turn counterclockwise into the "Off" position. Check all gas line connections on the controller to make sure they are tight and secure. Then wait five minutes for all gas fumes to clear. If you don't smell any gas, go to the next step. If you smell gas, leave the building and immediately contact your gas supplier using a cell phone or neighbor's phone. Turn the manual valve counterclockwise into the "On" position. Reset the thermostat to the desired temperature setting. Go to the electrical breaker panel and turn power back on to the unit.